Hot Rod, street rod, or custom car… A rose by any other name would smell as sweet, as long as its eau de gasoline. Hot rodding cars is not a new phenomenon. Nor was it a trend, as many believe, that was started in the 1950’s. 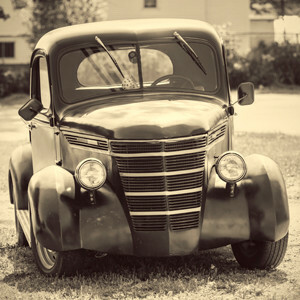 In fact, hot rodding cars goes back nearly to the birth of the automobile. As soon as the first car was built, mechanics were immediately trying to figure out ways to get performance from their creations. That is the most basic definition of hot rodding. 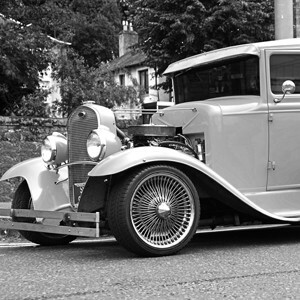 In the early 1900’s, the fastest way to increase performance was to reduce the weight of the cars. Nearly all of the turn-of-the-century race cars began life as street touring vehicles. The bodies and fenders were discarded and replaced with only the basic necessities required to operate it. The next step was to improve the mechanics, specifically the horsepower. Big displacements, multiple carburetors, and special exhaust systems were just a part of the progression to make cars go faster and perform better. 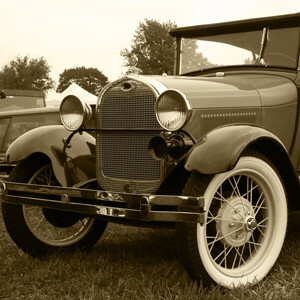 As the auto industry took off with the mass production of the Ford Model T in 1909, the aftermarket performance industry followed right along. For as little as 50 dollars, you could double the horsepower of your Model T, taking it from 20 to 40, with the addition of the Frontenac cylinder head. That would take your Model T from 35mph to 50mph. A huge leap. The more cars that were built, the more companies came out with ways to modify them. 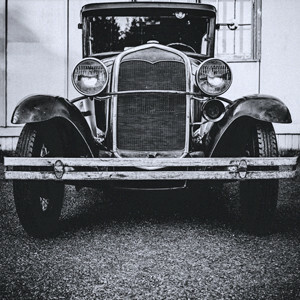 The Hot Rod industry was born not from a plan, but from the desire of car owners to have something better than before and different than their neighbor. This somewhat unorganized movement continued right up until the 1950’s. Most people look to the 1950’s as the birth of hot rodding, but what they are really acknowledging is actually the birth of the hot rodding lifestyle. No longer were just the cars being modified, the owners were as well. Greased slick back hair, tattoos, leather jackets and jeans were the style du jour for hot rod owners. And for the first time, the cars being modifying were not newer models. They were typically older than 20 years. Sometimes straight out of the junk yards. 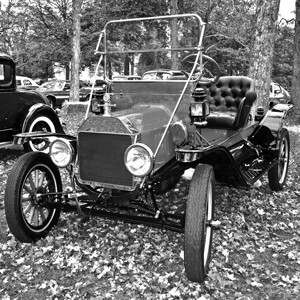 Ford Model A roadsters were prime candidates. Cheap and easy to work on, nothing fit the rebel profile better than cruising up and down Main St. USA every Saturday night looking for a race. It was for this reason many cities created “no cruising” laws in an attempt to avoid the accidents that occurred frequently while drag racing on public roads. The final piece that legitimized Hot Rodding was created when Wally Parks founded the National Hot Rod Association in 1951. Wally saw the need for a safe environment for drag racing and began holding drag races at abandoned airports around the country. The NHRA brought hot rodding to the mainstream and made the world acknowledge that it was an industry and a lifestyle to be reckoned with. Whether people know it or not, this is the real reason why the 1950’s were seen as the birth of hot rodding. The vision of one man, just trying to make the streets safer.